Domhnall Gleeson has told RTÉ Entertainment that he is currently writing a six-part comedy series with his brother Brian, which they will both star in should it be commissioned. 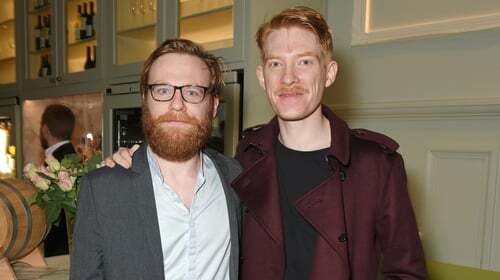 Domhnall said he has teamed up with his brother and their friend Michael Moloney, who he previously worked with on RTÉ sketch show Your Bad Self, for the series, which they hope will be picked up by Channel 4. "I'm writing with Brian, and my friend Michael Moloney, and we're writing something that we're hoping to be making with Channel 4; just a six-part half hour series," Domhnall told RTÉ Entertainment on the set of Peter Rabbit 2. "That's been really good fun, so I mean, if that happens that would be great, but I wouldn't direct that, I think I'd be in that. Brian would be the lead," he added. "We had this fantastic director for the pilot who was really, really good and I liked her a lot so I would hope that she would come back if we went to series." Domhnall, who has previously directed shorts Noreen (2010) and What Will Survive (2009), added that he could see himself directing comedy in the future. "I'd like to keep doing funny stuff, I think if I was going to do something it would have to be funny, the drama thing I adore but trying to work on something that's funny keeps you alive," he said. 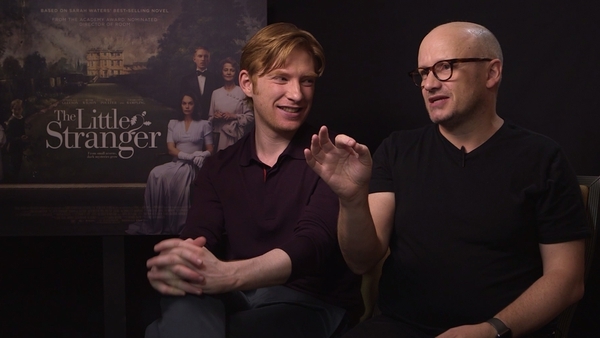 Domhnall and Brian are no stranger to working together having just starred in their dad Brendan's directorial debut Psychic on Sky Arts, which was written by their brother Rory. Brendan, Domhnall and Brian previously starred together in Enda Walsh's The Walworth Farce in Dublin's Olympia Theatre in 2015. Peter Rabbit 2 is slated for release on March 27, 2020.